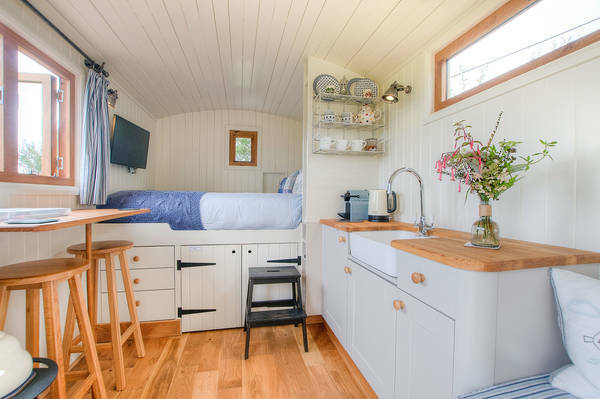 'TY CWTCH' which translates from Welsh to 'Cuddle House' is our new Shepherd Hut which was designed by us & made in North Wales. It is snug, cosy & relaxing. Open its stable door & take in the view of sea & mountains. Its heated oak floor & log burner make it perfect, even for a Winter break. Pricing for 2019 : £130 per night with every 3rd night free.